How do I run memtest86+? If I encounter a situation where I suspect my machine's RAM might be going bad, I might need to launch memtest86+ to check it. How can I do this using Ubuntu? Are there different methods for launching it whether Ubuntu is already installed? As you can see there are some options to choose from (this will vary from installation to insatllation), the one to look for is the third option in this screenshot i.e. 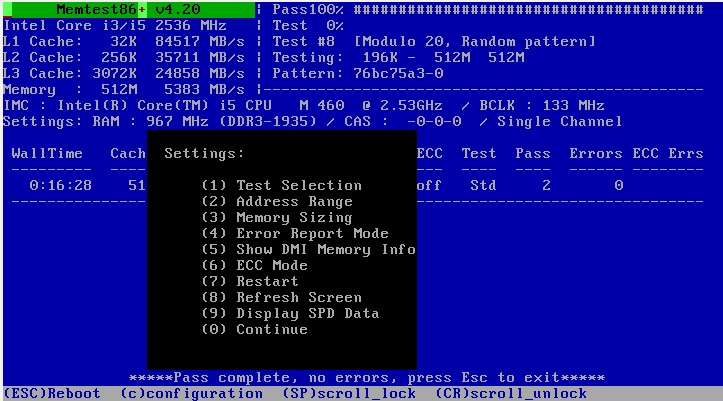 Memory test (memtest86+), which will be there in the grub menu along with other options. From the grub menu go to the appropriate option to select i.e. Memory test (memtest86+) and press Enter. To exit from the memtest86+ session you can press Esc any time. There is no certain rule that how many passes you would run but the more the better. Here is an image (taken from here) showing that errors were encountered i.e. the test is failing in some memory locations (pointed out in the red portion) indicating the locations might have problems. If your memory does not have any problem then you won't get any red portion. 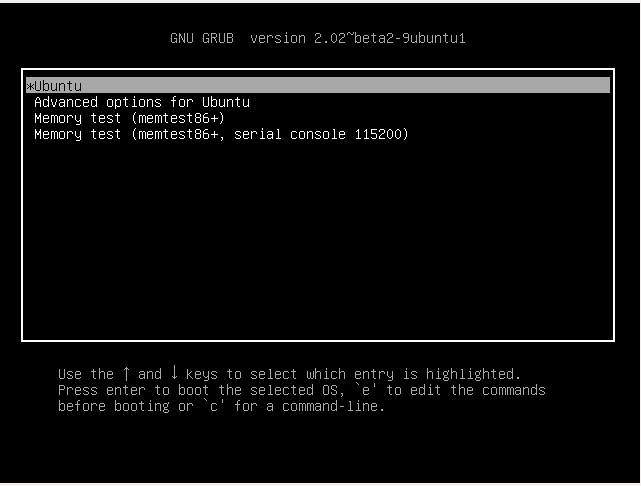 To perform a memory test on Ubuntu Live CD and Installed system. Hold down Shift to bring up the GRUB menu. Allow the test to run for at least one full pass. Not the answer you're looking for? Browse other questions tagged ram memtest or ask your own question. 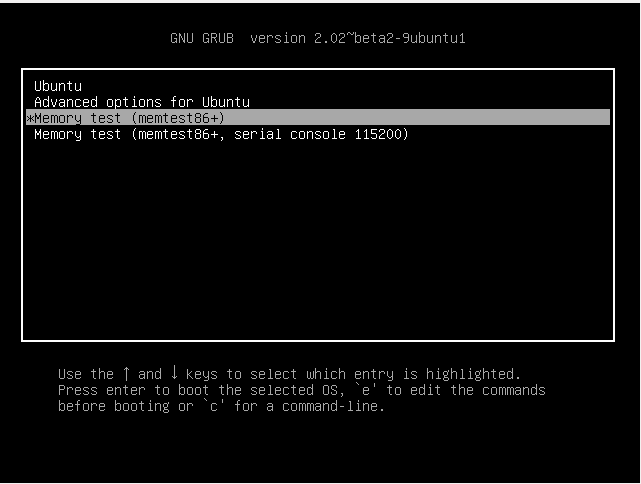 How can I add the Memtest86+ options back to the Grub menu? New 16GB of RAM installed yet I see 15.3 on my system. Why? How to fix boot issues on HP Laptop with Ubuntu 16.04? Why does memtest86+ restart immediately when I click start test? 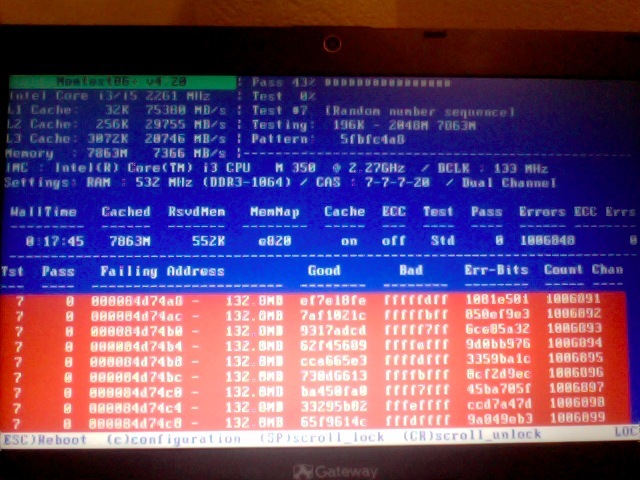 How to test individual RAM modules with memtest86?